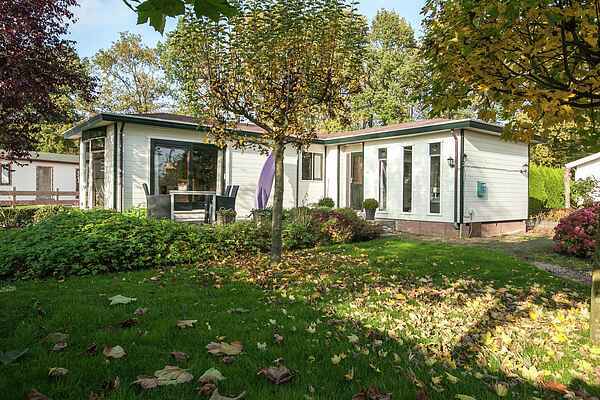 This comfortable chalet is located in Rutten, in the northerly part of Flevoloand. The chalet is on a small scale park surrounded by forests and water. An oasis of quiet and space. The northeast polder offers an amazing number of nature areas. If you want to walk, cycle, or just enjoy the beautiful surroundings, you are in the right place here! Get to know the nature of Flevoland, and walk the paths in the Kuinderbos, or grab a bicycle for a tour of the Voorsterbos. In the spring you cant miss the tulip route". In 25 minutes in the car you reach the Weerribben national park, one of the most beautiful in the Netherlands. Emmeloord and Lemmer are located a short distance away and certainly worth a visit.